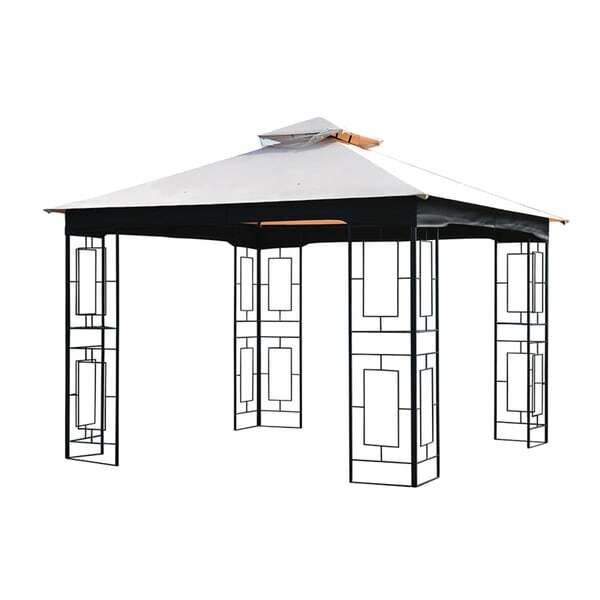 Bring your gazebo back to life and give it a fresh look with this replacement canopy by Sunjoy. It's durable with weather resistant, 100-percent polyester fabric. You'll find it's easy to clean and ideal for protecting you from the harsh rays of summer or unexpected rain showers. It features a natural beige color complemented by a dark brown valence. It will easily coordinate with your outdoor decor. You'll be glad to have it on hand. Order yours today. Mine is falling apart so I need only the frame. If my thoughts aren't the way I am requesting please give me a call before shipping @ 6012789174. "Will this fit my sunjoy Helena gazebo?" "Very interested in this canopy but not sure about the dimensions of the vent. What is your return policy if it does not fit?"